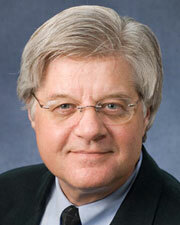 David J. Ekerdt is Professor of Sociology and Gerontology at the University of Kansas. From 1988-1997 he was Associate Director of the Center on Aging and Associate Professor of Family Medicine at the University of Kansas Medical Center. He directed the KU Gerontology Center from 2003-2016. He teaches the sociology of aging and research methods, and he has supervised graduate students on both campuses. These projects have resulted in 100+ articles, chapters, reviews, editorials, and edited books. He was Editor-in-Chief of the Macmillan Encyclopedia of Aging, a four-volume, one-million-word work published in 2002, a work with seven specialty editors that covers topics in biology, health care, social and behavioral sciences, humanities, ethics, and social policy. A graduate of Boston University (Ph.D., 1979), Dr. Ekerdt has also been a member of the faculties of the Harvard School of Dental Medicine and the Boston University School of Public Health. From 1994 to 1997 he served as editor of the Journal of Gerontology: Social Sciences, and from 1998-2001 was Chair of the Editorial Board for the journal Generations. From 1997 to 1999 he was member and chair of the Human Development and Aging (HUD-2) study section for grant reviews at the National Institutes of Health. Dr. Ekerdt is a Fellow of the Gerontological Society of America (GSA), and he has been a member of the Board of Directors of the American Society on Aging. During 2002-2003 he served as chair of the Aging and Life Course section of the American Sociological Association. During 2004-2006 he chaired the Publications Committee of GSA, and in 2010-2011 he chaired the Behavioral and Social Sciences Section of GSA. Dr. Ekerdt is 2018 President of the GSA, the nation's oldest and largest interdisciplinary society for research, education, and practice in the field of aging. The principal mission of the Society — and its 5,500+ members — is to advance the study of aging and disseminate information among scientists, decision makers, and the general public. Its members come from more than 50 countries. Lessenich, S. Ekerdt, D. Muench, A. Koss, C. Li, A. & Fung, H. (n.d.). The dog that didn't bark: The challenge of cross-cultural qualitative research on aging. Journal of Aging Studies, 47, 66-71. (2018). Longevity's Purposes. Innovation in Agiong, 2(3), 1-2.